What are Magnifibres anyway? Magnifibres are brush-on false lashes. Magnifibres are applied in between two layers of your favorite mascara. The brush-on fibres give an immediate and stunning false lash effect - achieving length and volume beyond belief. Magnifibres are very easy to apply and since they stick to your actual lashes, the look completely natural and glamorous. You will notice that there are white thin (very thin) threads. If those are not threads, I think they can be compared with the texture of cotton. Those 'whites' will create the effect of lengthening the lashes. Step 1. Apply your own mascara. Step 2. Using the same mehtod, apply Magnifibres but look down. Step 3. 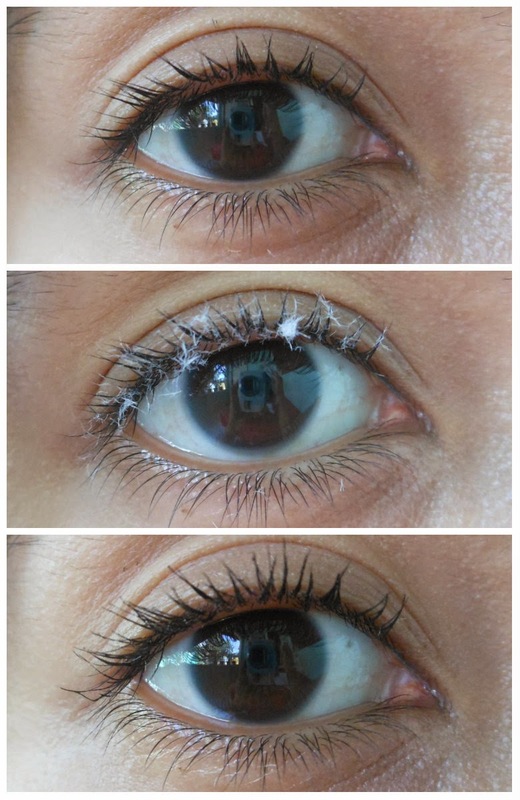 Wait 30 seconds, then apply a second coat of your mascara. Notice the difference? It really did lengthen the lashes like I have falsies. I like it soooo much! I was addicted to it that I started using it in school even though I rarely use mascara while teaching. Haha. Lengthens the lashes very fast. The white part was (very) slightly visible if you'll look at it closely but I actually do not have any issues about that. You just need to apply on that part so the black mascara will cover it. More on my reviews soon. I hope you won't get tired of it. That's a really cool product.. will look out for it when I go shopping. I've tried false eyelashes and they can be quite hard to apply at times.. maybe coz I 'm a noob when come to these things. Super cool! But pretty expensive. How long does the product last? One can only imagine what they will invent in the future. Oo nga sis! It did lengthen your lashes. :-) cool product! Amazing how such product can instantly make the eye lashes longer!